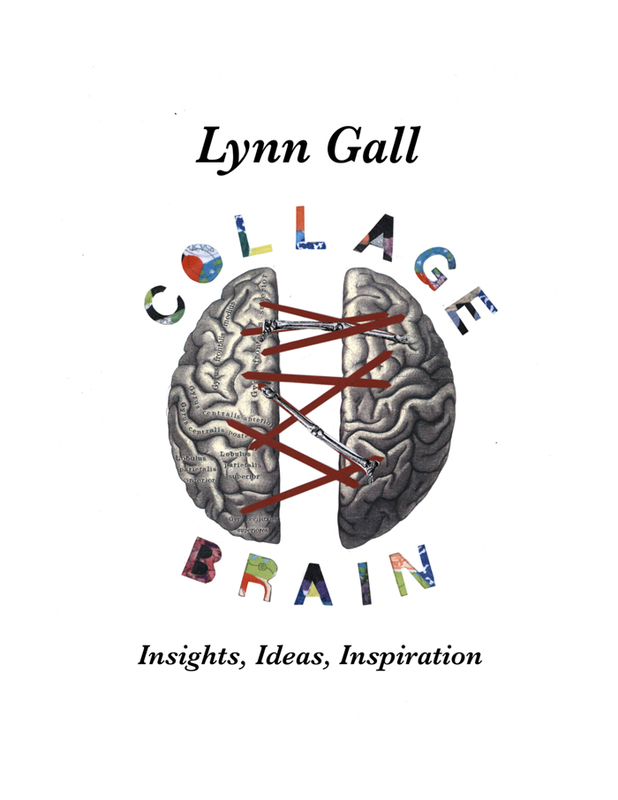 Lynn Gall’s new (and first) book, Collage Brain: Insights, Ideas, Inspiration, offers how-to advice for fine art collage in a novel, reference-manual format. 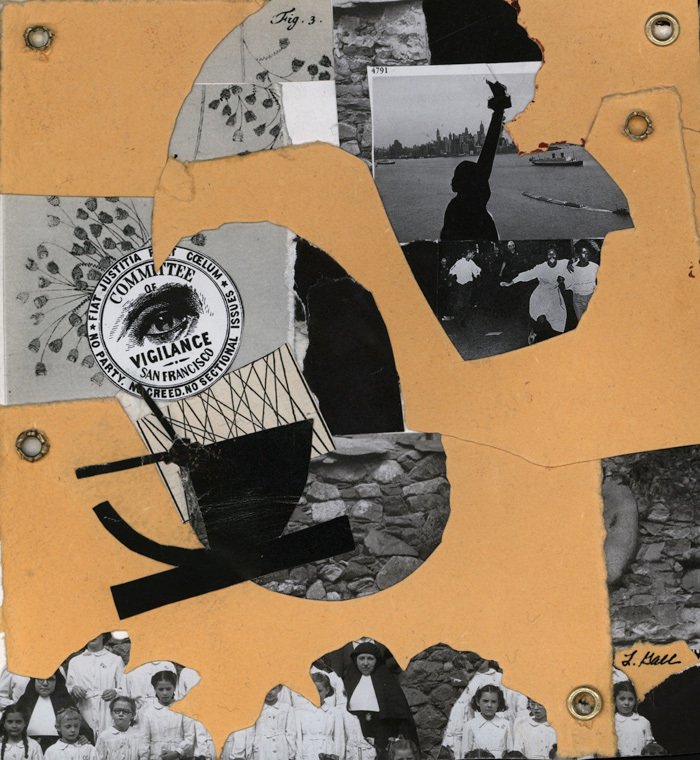 The 270-page book provides a myriad of images, commentary, hints and insider tips for collage artists at any experience level and easily adapted to their own unique vision. The volume contains 125 full-colour images which were created entirely by the author over the course of her extensive experience as a professional artist and instructor. These collages are are diverse in style and composition showcasing collage as a fine art medium. Each collage is accompanied by a one-page description which explains materials, construction techniques and highlights essential design principles. The author takes the descriptions one very important step further by revealing her thoughts and the reasons why she made the decisions she did. A wide variety of styles is presented including: minimalist, maximalist, realistic, surreal, abstract and decorative. These genres are categorized into five categories for easy reference: Humans, Nature, Objects, Architecture and Abstracts. Lynn Gall lives in New York City, where she has exhibited her work in many group and solo shows. She is an active member of Con Artist Collective, a shared workplace and gallery on the Lower East Side. Besides teaching collage classes, she has conducted numerous classes and workshops in paper making, paper decorating and mixed media. Purchase the book at Amazon HERE.